Your liver is the quiet friend who is always there for you. Even though it silently plays a very important role in our body, it will not complain even when it is going through a lot. This is because the liver actually does not have any nerves to perceive pain, which is why it is sometimes called the “silent organ”. Addition, the liver is extremely good at regeneration. To a good extent, the liver can repair its own damage on its own, and what’s more, even when only 2/3rds healthy, the liver can still complete its normal function without issues. When someone has liver disease, the liver working hard to maintain normal function while still trying to recover the affected cells. However, because of this, there are often no symptoms during this initial period. The liver does, however, send an SOS signal that we can detect if are looking. Listening and detecting this signal is fastest and most effective route to recovering from liver disease. The early symptoms of acute hepatitis include extreme fatigue in your daily activities even without significant strain. Additionally, you begin to feel frequent nausea and loss of appetite even when the body is relaxed. These symptoms may indicate severe damage to the liver cells, and can be followed by jaundice, or the yellowing of the skin and eyes. Jaundice refers to the yellowing of the skin or whites of the eyes due to improper liver function. It will also affect the color of your urine to a dark brown like cola or tea. Jaundice is a sign of severe liver damage, and in later stages, will cause itchiness across the body due to liver bile build up under the skin. Hepatitis A often comes with 100 degree fevers, and in cases of acute fulminant hepatitis, the fevers can sometimes be accompanied by impaired consciousness. In many cases, chronic hepatitis is asymptomatic, but symptoms like fatigue, general malaise, abdominal distension, etc do occur. Other symptoms include freckles, acne on the face and chest, and in rare cases, the appearance of red web-like blood vessels on the neck, chest, and shoulders called spider angioma. Scarlet red spots have also been known to form on the edge of the palm. For some patients with chronic hepatitis, even a light tap to the right side of the abdomen might feel like being hit with a sledgehammer. These patients usually report that they feel stiffness under their ribs on the right side, usually due to swelling of the liver. In cases when the condition of the chronic hepatitis worsens rapidly, the patient can also get jaundice. This occurs more often in cases of hepatitis B rather than hepatitis A. Autoimmune hepatitis can also display similar symptoms as chronic hepatitis, but also has additional symptoms of autoimmune disease that set it apart. Acute hepatitis does not require any special treatment and can be cured by simply with rest and relaxation. This naturally lowers the body’s metabolism, decreasing the burden on the liver and increasing blood flow to the liver by almost three times. 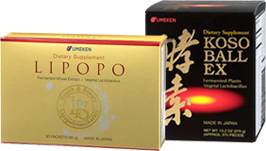 This helps facilitate the body’s natural recovery and immune processes to treat the liver damage. Patients of acute hepatitis are often unable to eat well due to severe loss of appetite and nausea. In these cases, it is better to just consume the required calories, glucose, and vitamins using nutritional shakes or juices rather than forcing yourself to eat. Because acute hepatitis type C has a very high risk of developing into chronic hepatitis, acute interferons and antiviral treatment can be very helpful. Although the ultimate goal for treating chronic viral hepatitis is complete eradication, a more important priority is preventing it from developing into cirrhosis or liver cancer. Corbicula, a type of freshwater clam, is good for the liver and intestines. To make the Corbicula Extract Balls easy to eat, natural corbicula from Shimane, Japan (the place long recognized as producing corbicula of the greatest taste and quality) is highly concentrated and made into balls. Yeast extract is added with the corbicula extract, forming a special product containing amino acids, methionine, taurine, and arginine, as well B vitamins, minerals, silymarin, and glycogen.